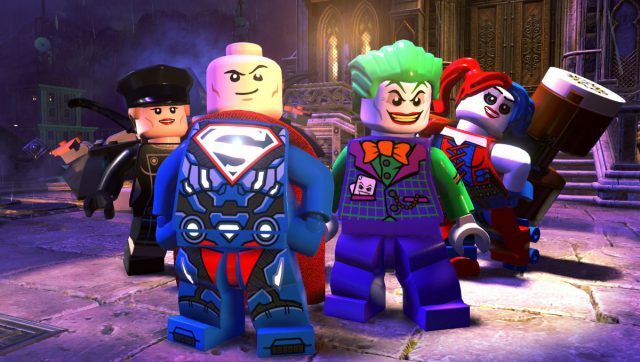 After a rather quiet entry with Lego Incredibles, Traveller’s Tales is back with a new Lego Batman spin-off title, and the fourth entry in the Lego DC Universe series. This time though, it’s a rather villainous entry, as the focus moves from the heroes, to the iconic super villains, from Lex Luthor, The Joker, Catwoman, Reverse Flash, et al. In a nutshell, this entry allows you to play as your favorite bad guys, thus making you feel a less guilty when you beat up random pedestrians or commandeer a car on the road while the owner is still driving it. Yes, it’s good to be bad, but that’s not what makes some Lego games so appealing. 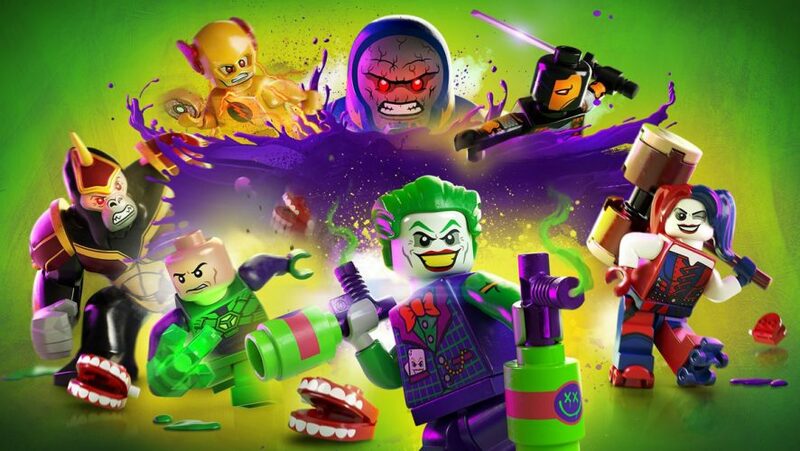 Rather, it’s the fact that Lego is not bound by any narrative or licensing constraints, and is able to reach DC fans like no other. How else would you explain the use of John Williams’ masterful score from Superman (1977), together with Mark Hamill (The Joker) and Kevin Conroy (Batman) from Batman: The Animated Series, Clancy Brown (Lex Luthor) from Superman: The Animated Series, as well as Michael Rosenbaum (Flash) from Justice League, all meshed into one title. This might not matter to gamers, but to the fans, these Easter Eggs of having the voice talents and material from other DC properties appear here, are the little nuggets of gold that makes the game so amazing. The premise here is that the Justice League have vanished, replaced by identical-looking heroes from another world known as the Justice Syndicate, but the villains, led by Lex Luthor know that something is up. Gamers won’t realise it, but fans of DC Comics already know that any team with the name Syndicate in it can only mean one thing…. 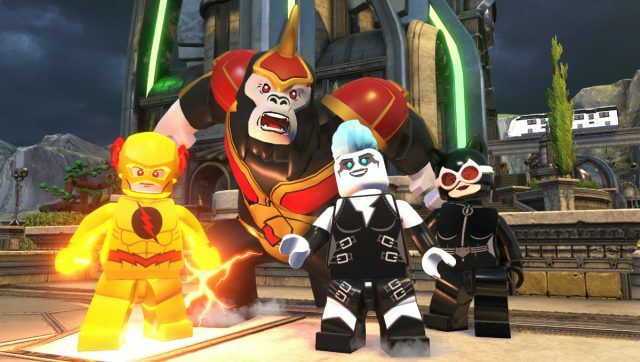 For every hero there are several arch nemeses, Superman has Lex Luthor and Darkseid, Batman has The Joker and Poison Ivy, The Flash has Reverse-Flash and Gorilla Grodd, so on and so forth. There is a balance to every hero and antagonist dynamic, and it’s great that the Syndicate has entered the Lego dimensions. 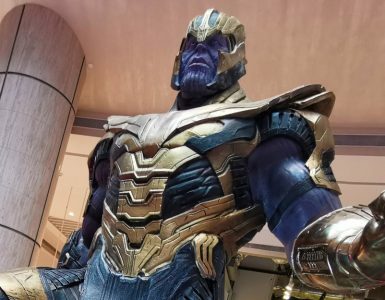 Instead of taking on controls of an existing character from DC Comics, players take on a special unknown new villain that nobody knows much about. Over the course of the game, this new character will accumulate powers that turn him/her in something more powerful than the rest. However, this character will also become the target of most of the jokes because he/she never seems to speak… ever. Yep. 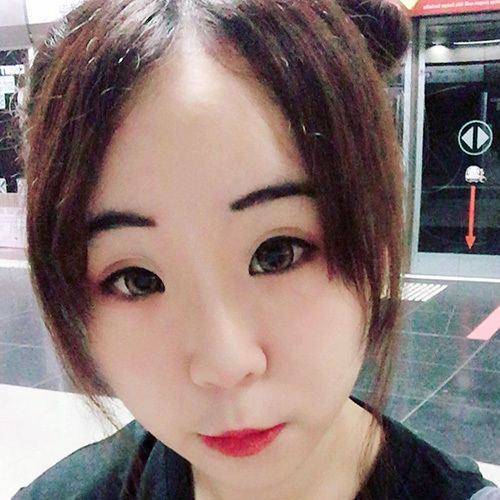 You’re basically the silent member of the group who inadvertently got dragged into the situation due to unfortunate circumstances. In light of this new character, there is unprecedented customisation here that can take a couple hours to sort out, especially if you’re a Lego fan, and indecisive, since you might want to take the time to go through every facial expression, hair color, weapon, accessory, voice, cape, neck accessory in this game. The game offers sixty-nine different heads alone, and not one but three different types of monocles to choose from. You will be spoilt for choice and can definitely go all out trying to build the perfect little Lego character for yourself. There is plenty to choose from, even though not all of them are unlocked at the get-go. Otherwise, you can take the shortcut and delve right into your villainous ways by picking one of the eleven preset characters available. But just because your character is the most powerful doesn’t mean this is a solo game. Lego games are best enjoyed with a friend, as the teamwork needed to solve puzzles and open up new areas is still a core component of this game. Each character that you interact with has their own unique ability which you have to utilise to get through the different obstacles. In the story mode, players are given a fixed set of characters to play with, and some characters may even have multiple skills. With Harley Quinn’s oversized mallet, players can activate the high striker, while Gorilla Grodd can use mind control. 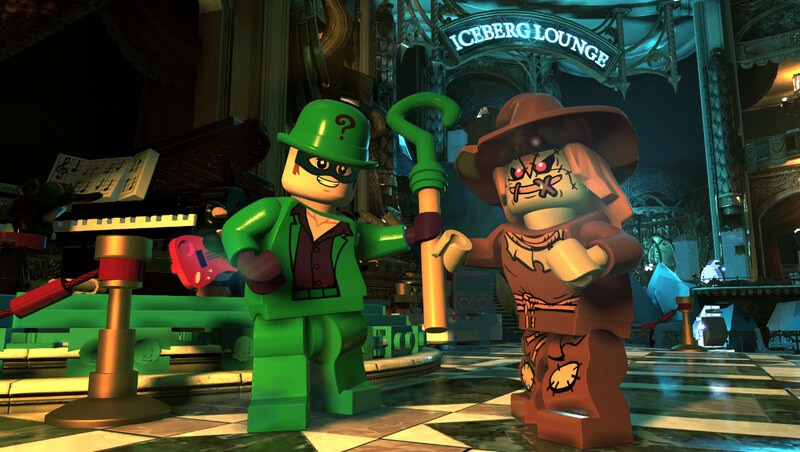 The Joker can recruit goons, and Cheetah can unearth items at dig spots. Gameplay wise though, there are not many changes. 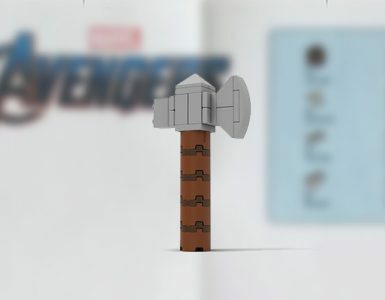 All characters have the ability to break Lego objects in one form or another, and destroying objects ejects studs, which is the in-game currency to unlocking new things within the game. Other than trying to amass a large amount of wealth to purchase new characters, one of the goals of the game is to go around collecting minikits, bricks and new character studs. However, there is a core element in Lego games that players need to know – it is impossible to retrieve every minikit, red and gold brick in your first playthrough, and this is where freeplay comes in. Freeplay mode allows you to use any of the unlocked characters to get through an obstacle which you could not do before. The challenge here though, is remembering what each character can do, and optimising your selection of characters during freeplay mode, to minimise the need of having to constantly switch them out to complete different tasks. A new directional arrow that moves around on screen to guide players is extremely helpful, for those who are directionally challenged and can never quite figure out where they need to go to continue the game. Old fans might recognise that the trail of studs on the ground can act as a guide, but it looks like those are not enough. If you really get lost, there is an indicator that tells you exactly how many steps away you are from where you need to be. Rather than run in the general direction, you can now decide if you want to hijack a car, fly, run, or just slowly make your way there on foot. For races, you no longer have to find your way back to the start point if you fail halfway through – with a simple tap of the button, players are transported back to the start point to attempt it again. If you have played the Lego Dimensions game, you would know how time-consuming it can be to fly/drive/swim your way back just to restart a race, so this is truly a welcomed feature in the game. Ultimately, the gameplay remains the same – players can complete the main storyline, and return to run around town helping folks with side missions like the master villain you are, or to win races within a certain time limit to gather gold bricks. If you’re a sucker for trophies, achievements and that coveted 100% score, it’s still here. 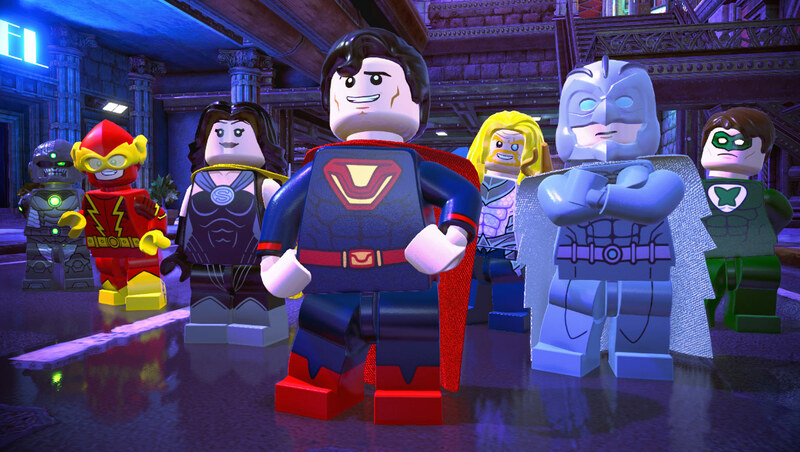 The Lego DC Universe is like reading comics. There will be new narratives to draw you to weekly comics, but in reality, it’s a rehash of the same thing that fans will clamour for. A Ballin’ Good Time With The HADO AR Challenge!